Freshly made dips taste great, but sometimes, after they’ve been refrigerated to chill or stored for a short while, the taste seems to change. Whether you’re making dips ahead of time or storing some leftovers, here are some tips to make sure your dips always taste their best. Dips and spreads made with sharp tastes like garlic, vinegar, and olives, can become very sharp tasting after being refrigerated in a closed container. 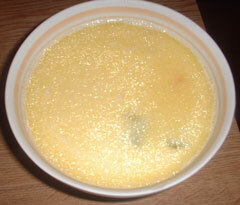 Before trying any adjustment to the ingredients, transfer the dip to an open bowl and stir. Let the dip sit for 10 to 20 minutes and taste. The lack of air in a closed container can affect the taste and a little airing out (aerating) might be all that’s needed. Greece is famous for dips made with yogurt, but this tip works equally well for others made with sour cream. If the dip starts to show a milky liquid on the top after being refrigerated or sitting out for a short while, don’t worry. This is just a separation of the milk liquids and – unless there are other problems with the dip – can just be poured off. Usually, these dips are nice and thick, so getting rid of the excess liquid is a good thing; however, if the dip should be thinner, just stir the liquids back into the dip. Greek dips and spreads are known for including sharp tastes (think tzatziki, olive tapenade, and skorthalia garlic spread) – and the one that can intensify the most during storage is garlic. These are the dips and spreads that may need some adjustment before serving. Olive oil: Olive oil is an easy way to tone down the sharp taste of any dip or spread that has olive oil in the original recipe. Use a very small amount to start, mix well, and taste before adding more. 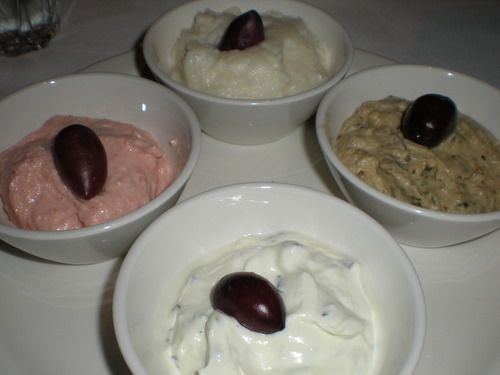 Yogurt: In yogurt-based dips like tzatziki, adding a little more yogurt can help reduce any overpowering garlic taste. Bread or potatoes: In dips and spreads like skorthalia garlic spread that are made with bread and/or potatoes, adding a little moistened (and squeezed out) bread or a little cooked potato will tone down the sharp taste, with or without a little extra olive oil.